MANY PEOPLE ASK me whether or not they need nutritional supplements if they eat a healthy diet. The next question that almost inevitably comes up is what they should take and where they can get high-quality supplements. Today, I’d like to bring some light to this issue, outline what I recommend most people take, and explain what is currently being offered in the Healthy Living Store. In a perfect world, no one would need supplements. But given the stress of our modern life, the poor quality of our food supply, and the high load of toxins on our brains and bodies, most of us need a basic daily supply of the raw materials for all our enzymes and biochemistry to run as designed. Most people don’t understand the role of vitamins and minerals in our bodies. I certainly didn’t when I finished medical training. I thought if we just had enough to prevent us from some horrible deficiency state like scurvy (vitamin C deficiency), then you didn’t have to worry about how much you were getting. I also thought that if you ate “enriched food” like white flour with a few vitamins added back in, or milk with vitamin D added in, additional vitamin supplementation was a waste. What most people don’t realize is the same thing I was unaware of when I first started practicing medicine: The real reason our food supply must be “enriched” is because it is has be so processed that it is “impoverished” to start with. Today, even with our “enriched food,” over 92 percent of Americans are deficient in one or more vitamins. That doesn’t mean they are receiving less than the amount they need for optimal health. That means they receive less than the MINIMUM amount necessary to prevent deficiency diseases. In a study from the Journal of the American College of Nutrition, researchers found that 6 percent of those tested had serious vitamin C deficiency and 30 percent were borderline low. (i) A report in the journal Pediatrics found obesity and malnutrition coexisting. Obese, overfed, and undernourished children with cognitive disorders were found to have scurvy and severe vitamin D deficiency or rickets. These deficiencies damage our children’s bodies and brains. (ii) You never think of an overweight person as malnourished, but they are! A USDA survey showed that 37 percent of Americans don’t get enough vitamin C, 70 percent not enough vitamin E, almost 75 percent don’t get enough zinc, and 40 percent don’t get enough iron. (iii) I would say 100 percent of us don’t have enough of the basic nutrients to create optimal health or give ourselves a metabolic tune up. The foods you eat no longer contain the nutrient levels you require for optimal health for many reasons. Crops are raised in soil where nutrients have been depleted. Plants are treated with pesticides and other chemicals so they no longer have to fight to live, which further diminishes their nutrient levels and their phytonutrient content (not to mention the toxic exposure you receive from such chemicals). Animals are cooped up in pens or giant feedlots instead of roaming free eating the nutrient-rich wild grains and grasses they once consumed. Since cow’s stomachs are adapted to grass instead of corn, they must take antibiotics to prevent them from exploding. To complicate this further all of us are exposed to hazardous toxins and chemicals that poison our bodies, we live with too much stress, we don’t sleep enough, we don’t exercise enough, and we are inflamed making the nutritional demands on our bodies even heavier. Those with chronic illnesses are in even worse shape. Nutrients are not drugs and they don’t work as drugs do. They work with your biology by supporting normal enzyme function and biochemical reactions. In today’s world everyone needs a basic multivitamin and mineral supplement. The research is overwhelming on this point. (iv) My own experience as a practitioner corresponds to what the research tells us. I have tested for vitamin and nutrient deficiencies in thousands of patients and found that by correcting them people feel better, improve their mood, mental sharpness, memory and ability to focus, as well as have more energy, resolve chronic health complaints or conditions and even lose weight. Taking supplements also helps prevent disease. The basic vitamin recommendations outlined below include nutrients that form the backbone for proper optimal biological function, robust health, and healthy aging. These nutrients work as a team and the basic workhorse team outlined below should be taken by everyone. You may ask: What about the research that says supplements don’t work? I’d like to shed some light on that question as well. Studies showing nutrients have no benefit were either done with single nutrients or synthetic non-bio-identical forms of the nutrients. If you just take high doses of a single nutrient like beta-carotene (normally part of hundreds of dietary carotenoids and antioxidants), you may not acquire the desired effect or problems may arise. Think about it this way: Broccoli is good for you, but that doesn’t mean that eating broccoli alone for a year is good for you. In fact it may kill you! Nutrients are not drugs and they don’t work as drugs do. They work with your biology by supporting normal enzyme function and biochemical reactions. Medications block or interfere with normal function. Studying medications and nutrients using the same methods doesn’t make scientific sense. Additional supplements may help people with specific imbalances or provide added support for certain times in our life cycle where needs for some nutrients are increased—during pregnancy for example. The products and supplement kits available in my Healthy Living Store have been chosen to offer the support needed to create good health. I will outline what kits are available in a moment. But first, I want to explain why taking high-quality supplements is essential. It is important to find safe, high-quality, and effective nutritional supplement products. Be aware that all brands are not created equally. Quality is up to the manufacturer because of limited regulations regarding manufacturing. Certain companies are more careful about quality, sourcing of raw materials, consistency of dose from batch to batch, the use of active forms of nutrients, not using fillers, additives, colorings, etc. 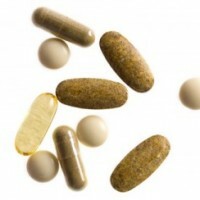 When choosing supplements it is important that you choose quality products. However, finding the best products to support health can be a difficult task. The lack of adequate government regulations, the dizzying number of products on the market, and the large variations in quality all create a minefield of obstacles for anyone trying to find the right supplement, vitamin, or herb. Third-party analysis for independent verification of active ingredients and contaminants. Products that have some basis in basic science, clinical trials, or have a long history of use and safety. Use of clean products, free of harmful preservatives, fillers, binders, excipients, flow agents, shellacs, coloring agents, gluten, yeast, and lactose and other allergens. Each of the supplements in my online store abides by these standards. That may mean we charge a little more than other retail outlets, but when you buy supplements from The Healthy Living Store you can be assured you are getting the best quality available. If you’ve been to the Healthy Living Store before, you’ll notice that we have recently made some changes in the look and feel. In the coming weeks we will continue upgrading the store. I’ll be adding more supplement kits, and my team will be working to make the shopping experience easier and more intuitive. I hope you enjoy the changes are making and use the store to help you achieve and maintain optimal health through the holiday season and the New Year. (i) Hampl, J.S., Taylor, C.A., and C.S. Johnston. 2004. Vitamin C deficiency and depletion in the United States: The Third National Health and Nutrition Examination Survey, 1988 to 1994. Am J Public Health. 94(5): 870–5. (iii) Ames, B.N. 2004. A role for supplements in optimizing health: the metabolic tune-up. Arch Biochem Biophys. 423(1): 227–34. Review. (iv) Kaplan, B.J., Crawford, S.G., Field, C.J., and J.S. Simpson. 2007. Vitamins, minerals, and mood. Psychol Bull. 133(5): 747–60.